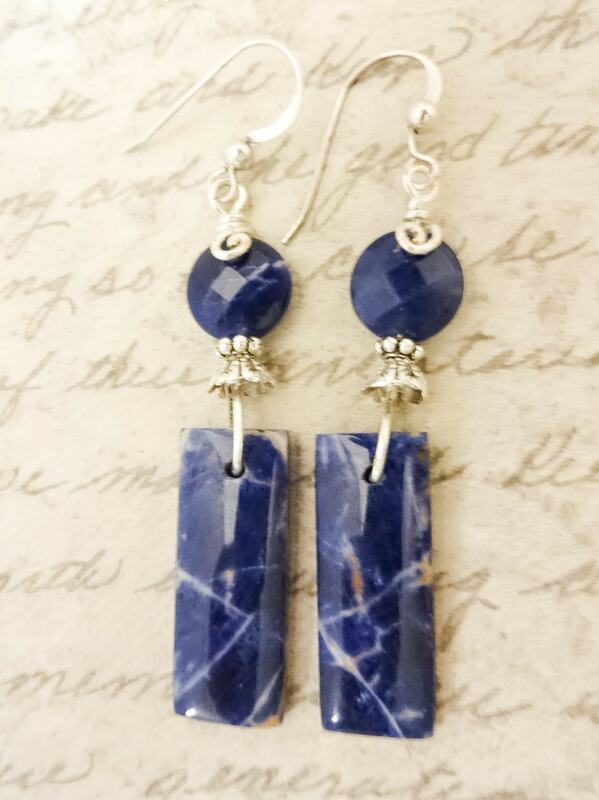 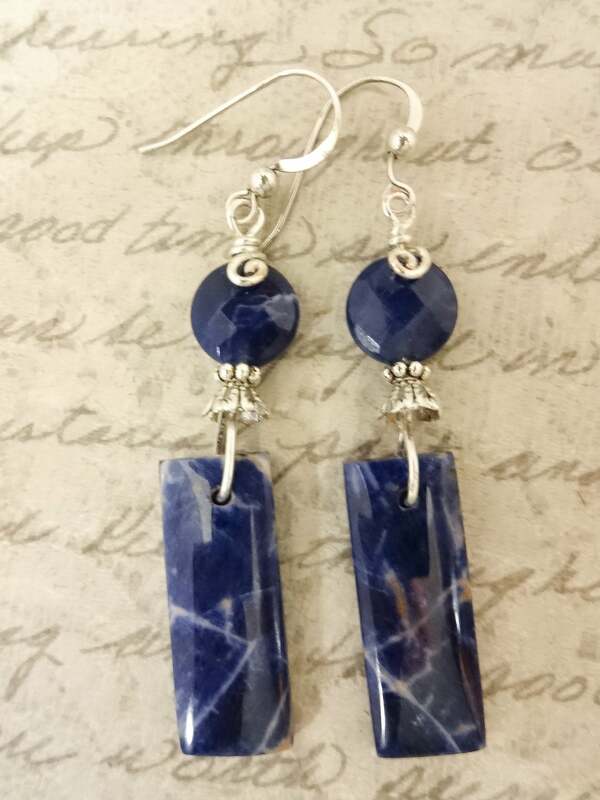 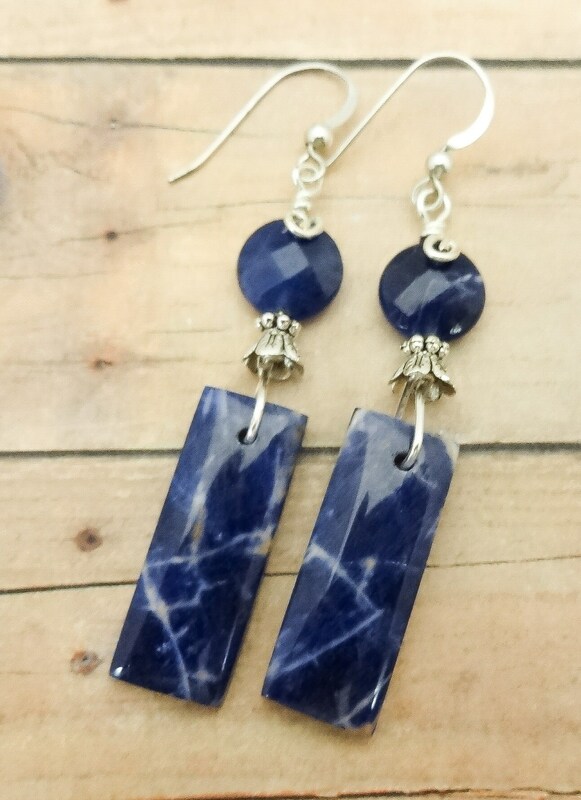 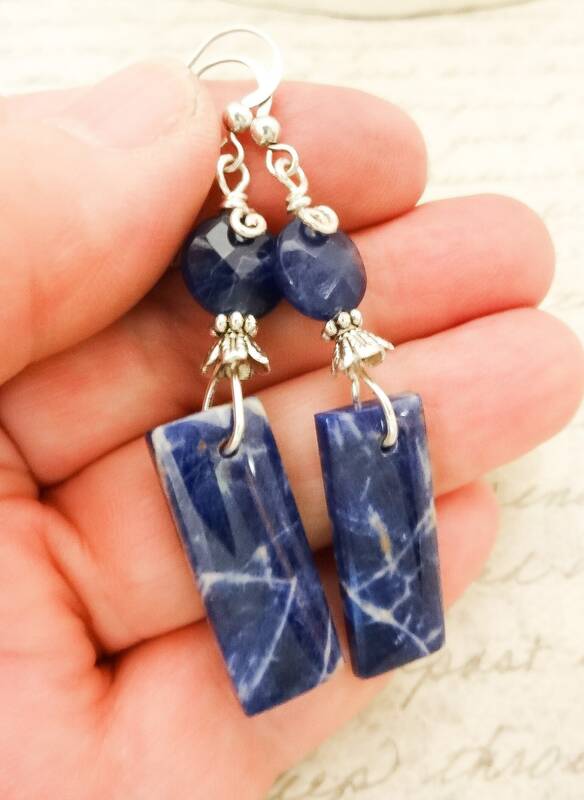 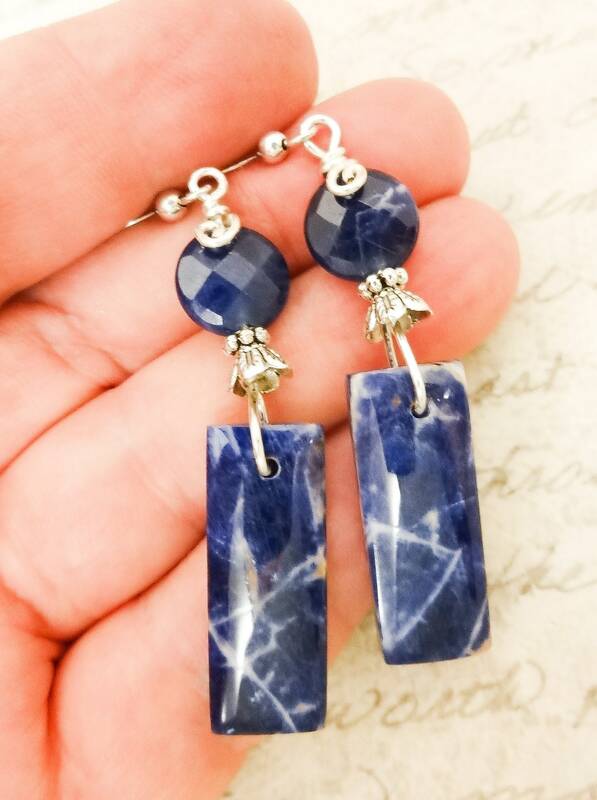 These Sodalite Stick earrings are brand new! 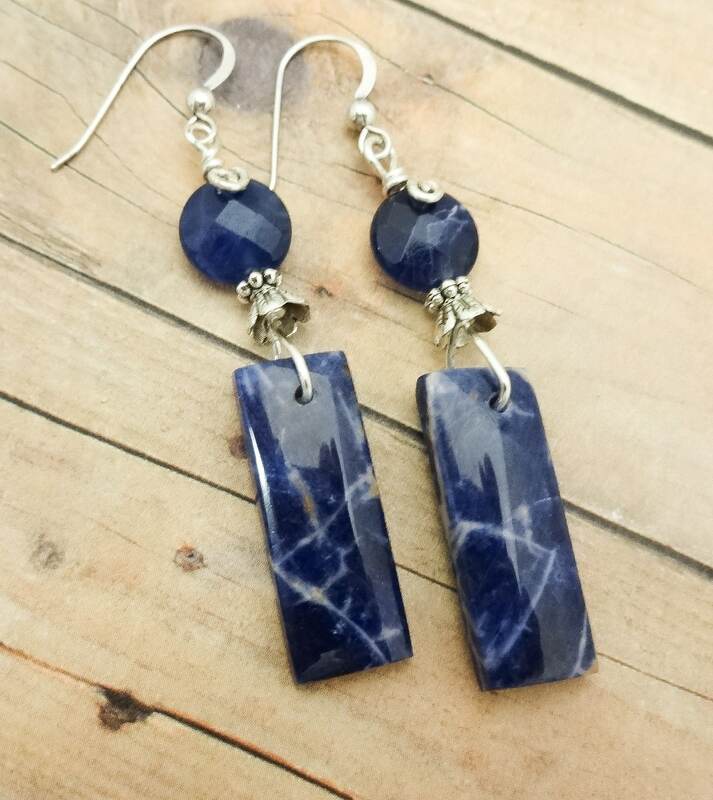 I bought a few more pairs of the stone rectangles, so if these disappear before you get a chance to buy them, send me a message and I can make a pair just for you! 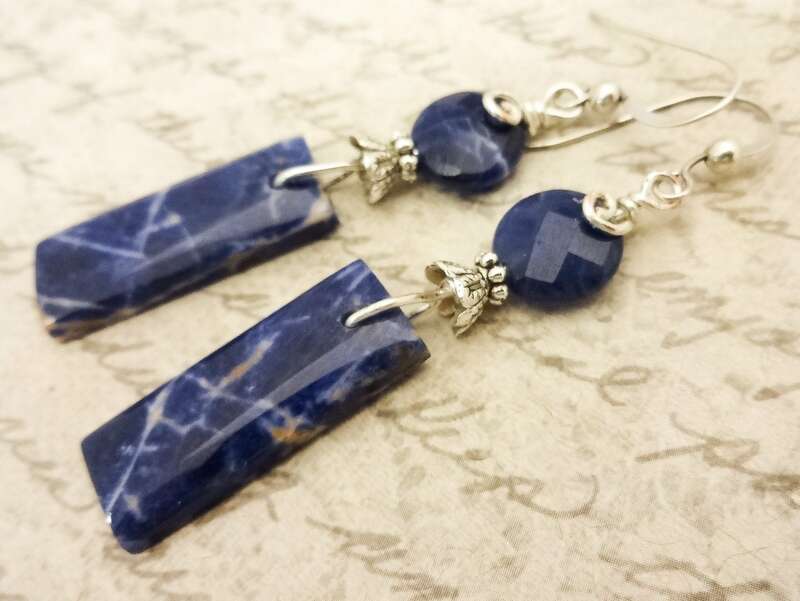 I paired the sticks with my favorite faceted sodalite coins and silver wire. 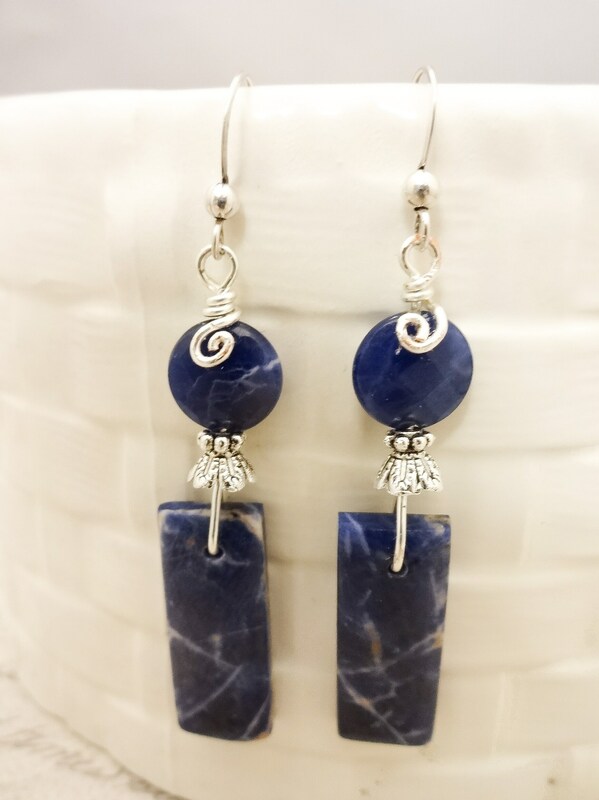 The silver swirls add a little flair, otherwise I let the stones do the talking! 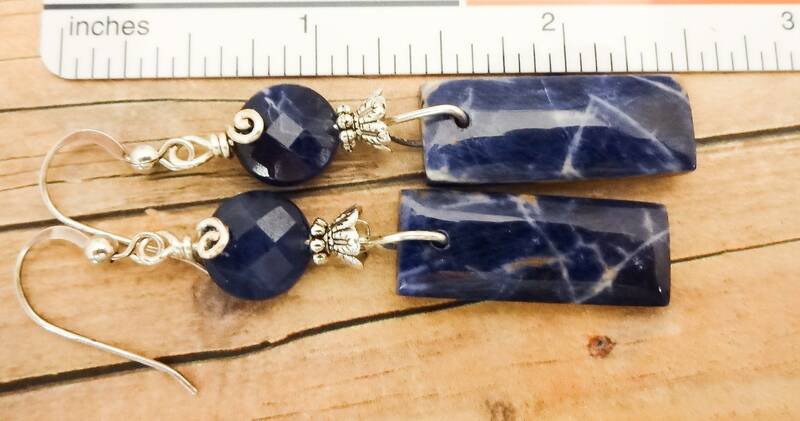 If you love long, natural stone earrings and you need something to go with your navy blue suit or your favorite blue jeans, these might be the earrings you've been waiting for. 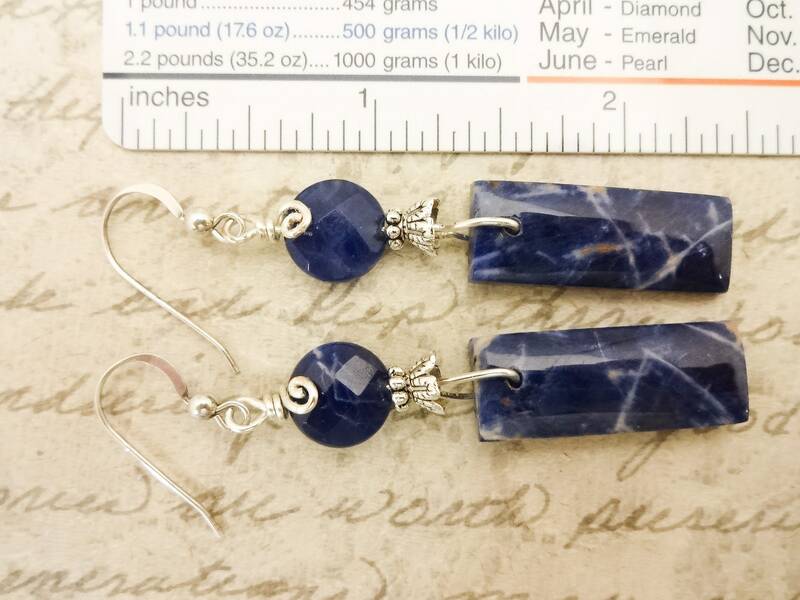 Sterling Silver French hook ear wires are shown, but I also have Sterling Silver leverback wires, 4mm ball posts, and the same options in Surgical Steel.